I love holidays, pretty much all holidays, but I have to admit that New Year’s is my favorite. Yes, even more than Thanksgiving, Christmas, or the 4th of July (my other favorites, in that order). I particularly love the final build up to the new year, that week between Christmas and New Year’s Day when everything is done — all of the decorating, traveling, shopping, wrapping, cooking, cleaning, entertaining — and it’s time to rest and recover, to pull back from the many details of the recent weeks, and to think about the bigger picture, the vision for what’s to come. It’s like looking at a blank page, or a fresh new canvas, and imagining all the things you could write or paint in that space. Unlimited creative potential. I even like that the beginning of the new year coincides with short days, long nights, and cold temperatures — it feels like an invitation to hibernate, to recharge, to dream. If I were a wild animal, I’d definitely be a bear. 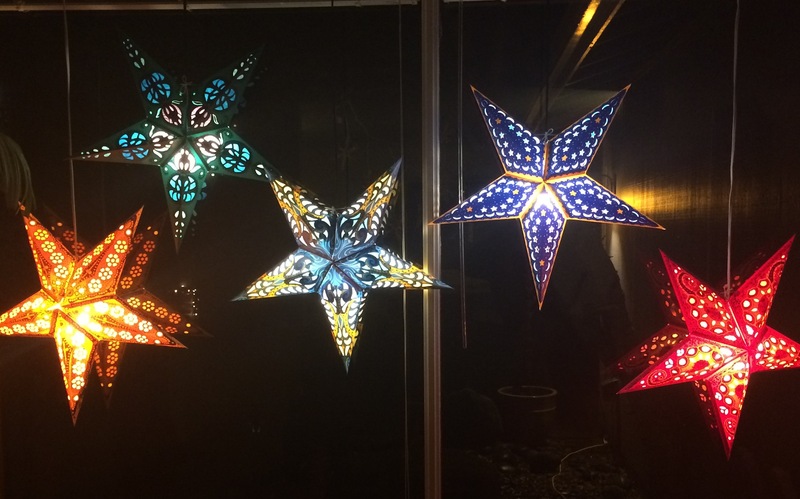 During the dark months here in the Pacific Northwest, I light lots of candles in the house, and have beautiful paper stars that I hang in the front window until the first day of Spring. The soft light and subtle warmth inspire me and light the way. So, now that we are fully into January, I’m putting pen to paper (or rather, “fingers to keyboard”) as I think about and plan the year to come, and I’m particularly excited about several projects, my “points of light” for this year. At the top of my list is a research project I’ve begun in partnership with the Oregon Home Education Network. We’re updating some research conducted in 2004 about perceptions and admissions rates of home schooled students applying to college. Before surveying and interviewing admissions officers, however, we decided to invite homeschooling families to help us shape our research, and in just a few short weeks we’ve had a tremendous response! Families from every region in the country, with the exception of the Mountain region (so far!) have shared their thoughtful questions, concerns, and recommendations with us. I’m so encouraged by the responses and ideas coming through, and know that the results will be rich and useful to everyone in the homeschooling community. If you haven’t had a chance to respond yet, or want to invite others in your community to respond, the “From Home Education to Higher Education: What Homeschoolers Want to Know” survey is still live here. We’ll begin distributing the online survey to Admissions Officers across the country in early February, and will begin conducting personal interviews toward the end of February. Updates, summaries, and interesting insights will be shared here, so stay tuned! The final (and free!) comprehensive report will be released in early summer on this site and on the Oregon Home Education Network site. Another project I’m working on this year is an online course called “Emerging Options in Education”, where I’ll be describing all of the new and innovative educational options available to students of all ages these days. This goes way beyond homeschooling! The course will include descriptions of and links to some fantastic programs and organizations, along with a discussion of K-12 and Higher Education trends that will shape how we learn in the coming years. I truly believe we’re at a tipping point in education, which is exciting, but also confusing for many. I’ve written about this shift already in a prior post, “The Big Education Shift — Are You Ready?”, and this course is designed to help you get ready! Finally, I’m toying with the idea of starting a podcast connected to the “From Home Education to Higher Education” research. In short, I would love to record the interviews I’ll be conducting with university admissions officers and make them available to the homeschooling public. One of the ideas expressed by several homeschooling families is that they would like more direct contact and specific information about admissions for homeschoolers at different institutions, and I’m thinking this might be a good way to connect applicants with those making admissions decisions. Would this be of interest to you? It will take some work, so I want to make sure there’s enough interest before I invest too much time. Let me know! On the Chinese calendar, 2015 is the year of the ram (or sheep) which signifies gentleness, connection, and creativity. It sounds like a great year to me, and this is exactly what I hope for all of us as we begin to paint the canvas of 2015.